Stella McCartney, Sarah Burton and Karl Lagerfeld sit for Marc Quinn to create a series of three of Quinn's unique iris portraits - 'We Share Our Chemistry with the Stars', featured in the September 2015 issue of Harper's Bazaar. The works measure two metres across, with Quinn describing them as 'stealth portraits', at once unique and universal and not just an image of the sitter, but an actual visual index of their identity. 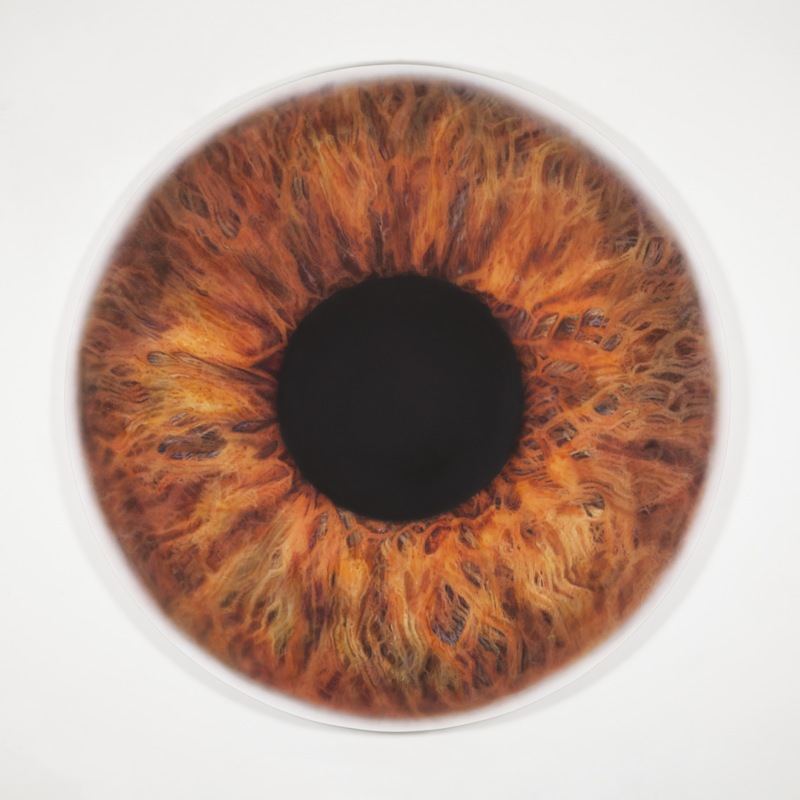 Using a macro-lens, Quinn captures the sitter's iris in incredible detail and then uses an airbrush technique to apply oil paint onto canvas, transforming the images into these large-scale works. The eye appears virtually abstract and the pupil appears like a aperture or hole in the centre of a fine, detailed network of colourful lines. The artist observes: "The etymology of 'iris' is derived from the Greek word for 'rainbow'. And in the colours, even in quite subtle, dark colours, there is a kind of celebration of individuality." Furthermore, "in the middle you have that black hole of the pupil [and] all of the mystery and uncertainty of life. It’s a very profound expression of the ambiguity which is at the heart of our existence." Of subjects Sarah Burton, Stella McCartney, and Karl Lagerfeld, Quinn observes, "The world goes in through their pupils, and fashion comes out through their hands."